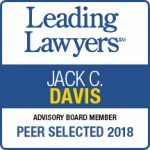 One of Michigan’s most respected attorneys, Jack C. Davis is a leader in both the business world and the community. As part of the firm’s Business Transactions, Real Estate, Business Entities and Tax Law Departments, Mr. Davis manages a large client base, providing expert legal counsel to business clients. He also practices in the area of sports and entertainment law. He has served on several international delegations to advise government leaders on trade and international tax matters for the development of a free market economy. Mr. Davis devotes considerable time to making mid-Michigan a stronger region, through service to education, economic development and the arts. He has been President of Lansing Rotary. He chaired the Regional Blue Ribbon Panel on Retention of General Motors and was a long-time member of the Lansing School District Board of Education (twice serving as President) and a former Chair of the Lansing Regional Chamber of Commerce. He has been Chair of the Lansing Economic Area Partnership (LEAP). Mr. Davis, and his wife Sue, were awarded with the Outstanding Philanthropist Award in 2012 by Capital Region Community Foundation. He earned a law degree at Harvard University and is listed in the 2018 Edition of Best Lawyers in America, as well as the 2018 Edition of Preeminent Lawyers. He has maintained that rating for over 25 years. 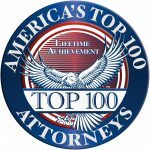 He also has been listed in the publication of Super Lawyers, Lawyers of Distinction, Leading Lawyers and Top Lawyers. Mr. Davis also recently received the Lexis/Nexis Martindale-Hubbell AV Peer Review Rated for Ethical Standards and Legal Ability Award. Mr. Davis has been awarded the Farhat Outstanding Attorney Award by the Ingham County Bar Association. Prior to joining the Loomis Law Firm in 1966, he was associated with Kirkland & Ellis in Chicago. Founder and former trustee of the Lansing Community College Foundation, the Okemos Education Foundation, the Opera Company of Mid-Michigan, and Legal Aid of Central Michigan. Undergraduate: University of Wisconsin, B.S., 1960 .